After 3 months of keeping this blog post under my "drafts" list, it is now time to give it it's much deserved spotlight. 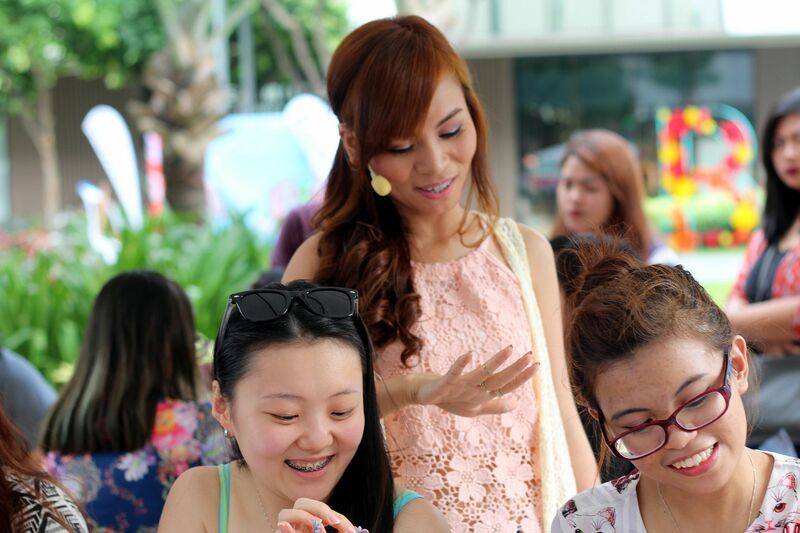 Sharing with you guys what happened at my first-ever nail art workshop! 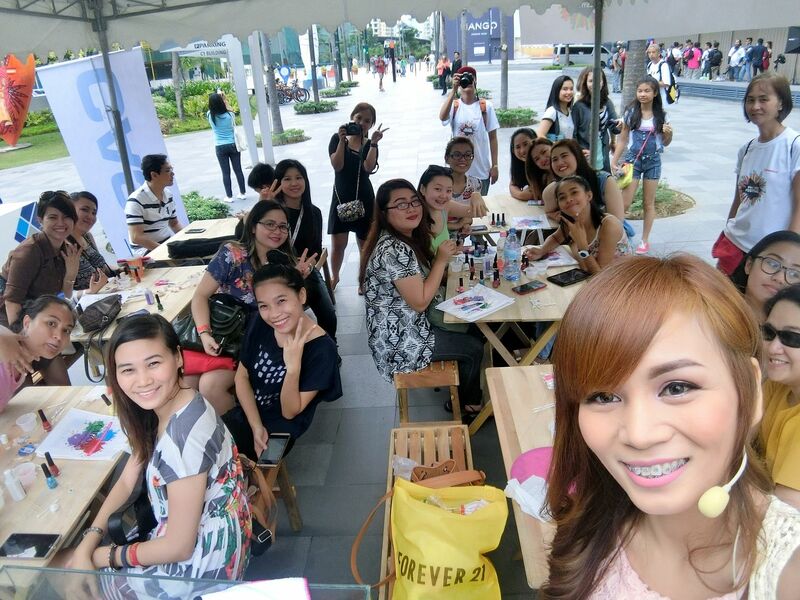 This Selfie and Nail Art Workshop was in partnership with some of my favorite brands : Casio and Caronia! 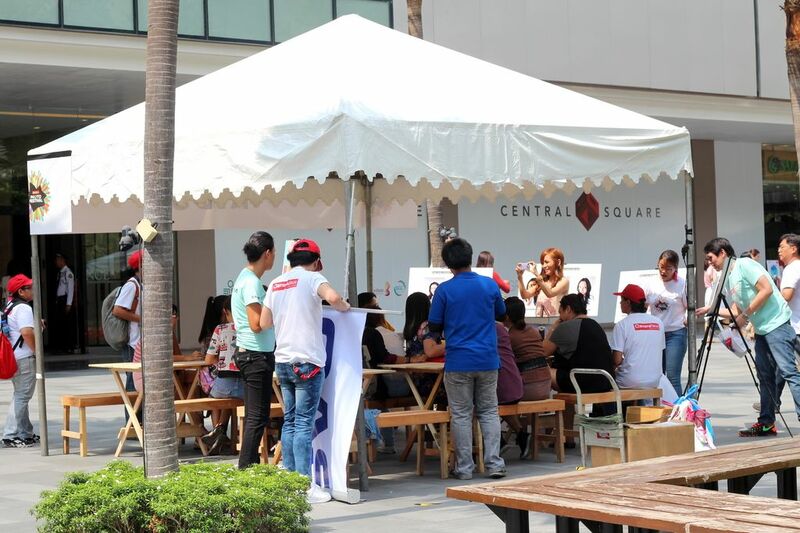 The workshop was held last May 28, 2016 at the Bonifacio High Street Park Central Square. I posted about this on my YouTube, Facebook and on Instagram and invited everyone to come! As expected, those loyal followers that were available on that day came to see and support me! Yay! I was so nervous nobody would come to my event. Believe it or not, but I always find it overwhelming to say the word "FANS". Because I really do not consider any of you as my fan. Rather, I consider each and everyone of you as my friend. So, I was thinking all my friends would be busy that day. The first comer of the day award goes to my baby girl, Shane! She was the first to arrive the venue! Thanks for coming, Shane! I know you traveled far and had to skip work just to be able to make it to my event! Aww! Here's my simple OOTD! Photo taken by my friend-slash-photographer, Flora! I knew the venue was going to be in an open area so I wanted to dress comfortably. My shoes may look uncomfortable because of the heels but those are actually one of my comfiest heels ever! Okay, time to set up! We went back to "my tent" so I could calm down and prepare for my (MY. Please repeat, MYYYYY) event! 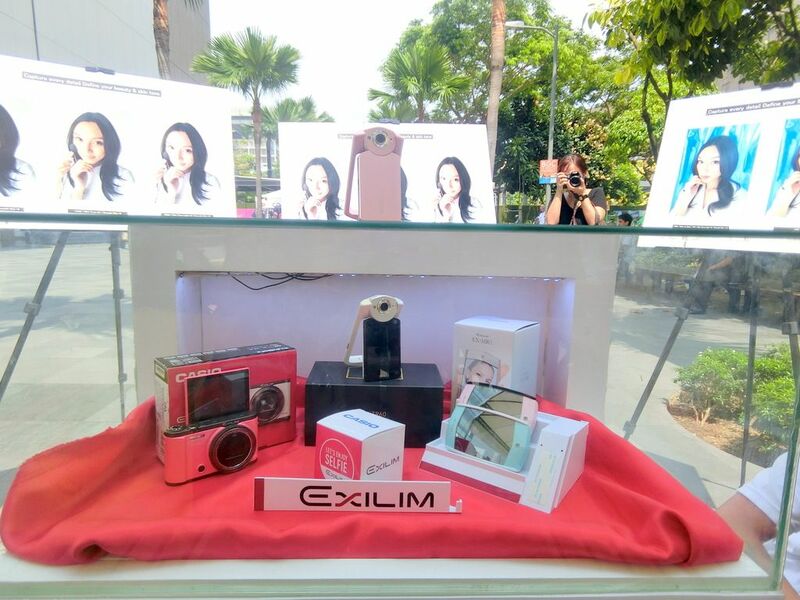 Attendees of this workshop already know how amazing the Casio Exilim TR60 is because they were able to try it and were able to take selfies with it. But for my readers that haven't experienced the magical camera yet, you guys can check out any Camerahaus stores. You could ask one of their friendly staff to demo the camera for you. If you are not from the Philippines and is from Malaysia, Singapore, Hong-Kong or Thailand, please check your local store. 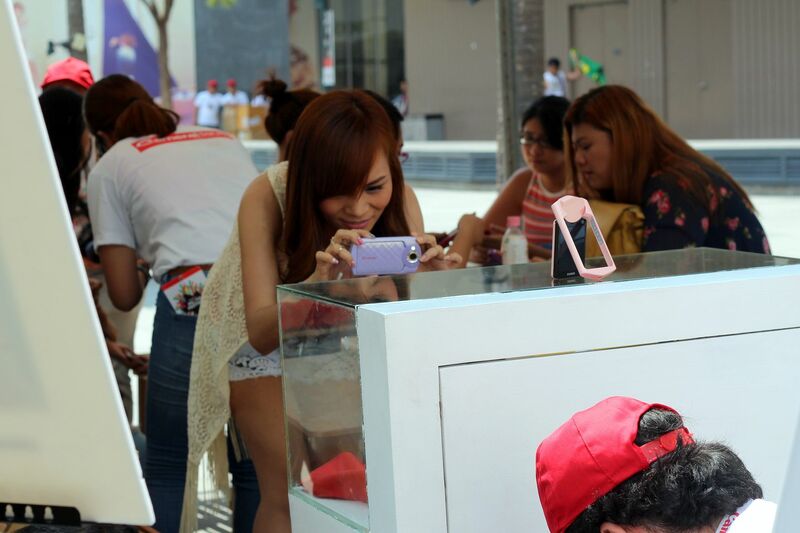 Me taking a picture of the Casio Exilim TR60 camera using my Casio Exilim TR60. 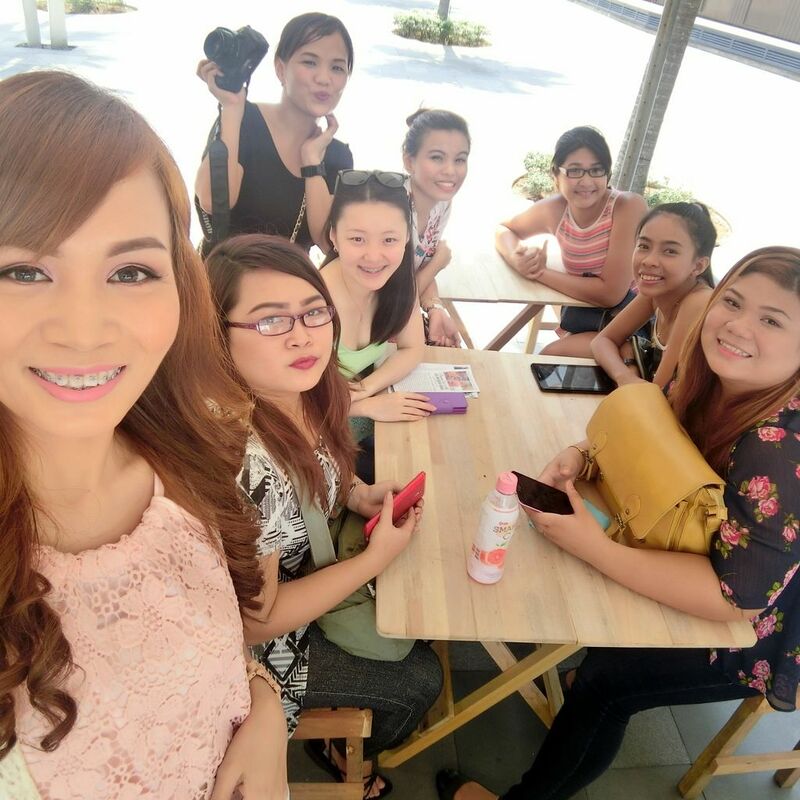 The pretty and early birds of my event! 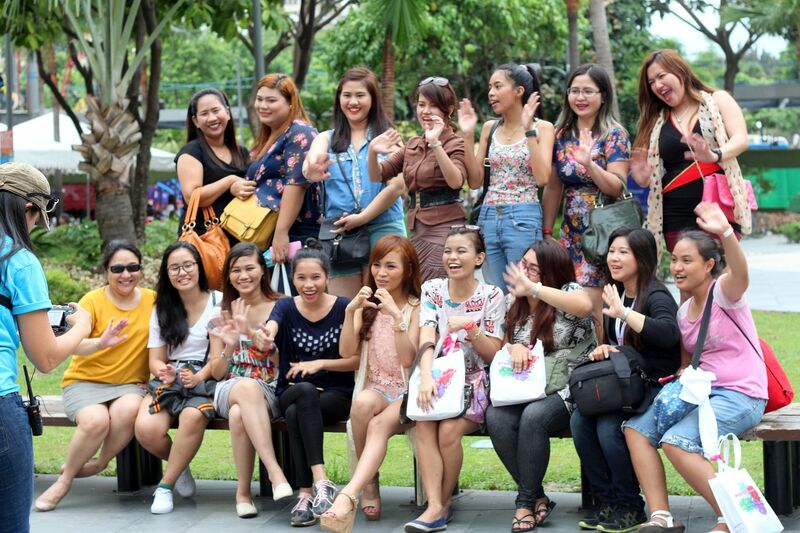 Girls, thank you so much for coming despite the complicated location and hot Summer weather! I really appreciate each and everyone for coming! The first picture posted was taken by Flora using my DSLR. This one was taken using my Casio TR60! Okay, so the venue of the workshop wasn't something grand or fancy. it was situated right in the middle of the park. It wasn't air-conditioned either. I was okay with the hot weather but I was worried my attendees would leave once they feel hot. I'm so glad none of them left and stayed until the end of the workshop and until our "Selfie session"! What I taught at the workshop was how to do 5 basic mail art designs such as water marbling, ombre design, animal print and more! 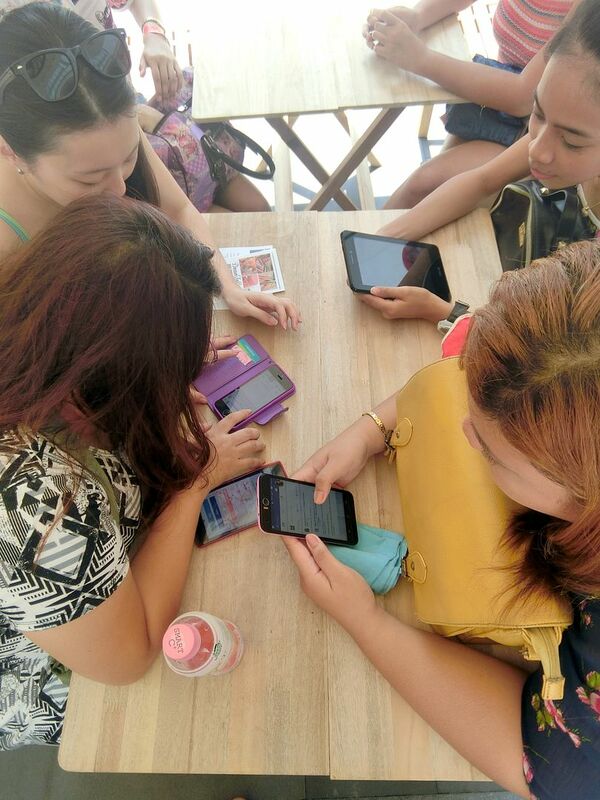 I was not able to prepare slide presentation for them to show the step-by-step process on how to achieve each nail art design. I had to do it manually by showing them and doing a live nail art tutorial. 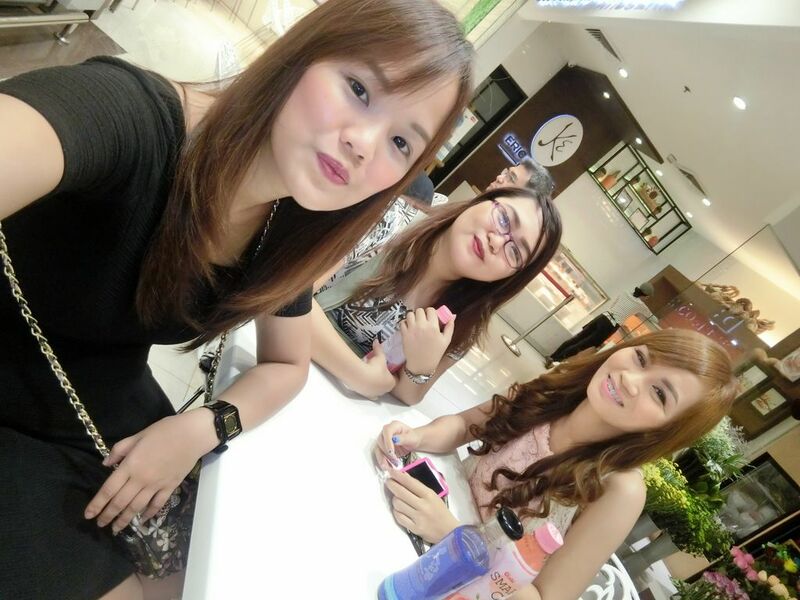 The nail polishes were sponsored by Caronia, by the way. 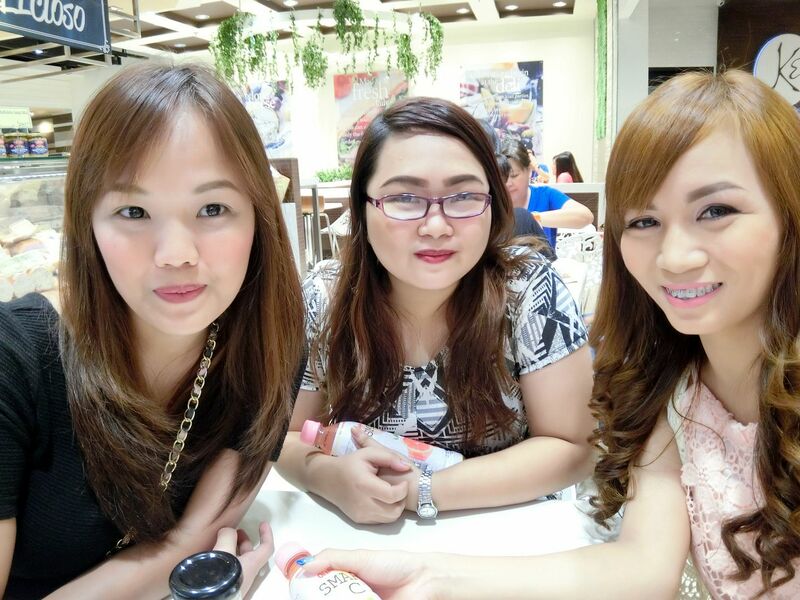 My girls tried to recreate my designs on their nails using the colorful Caronia polishes. If you were wondering why I have ugly hands, though, it because when I was young, my Mom and I had to survive living in small bedrooms for rent. To cut it short, we were poor. While my Mom went to work, I had to clean the place, do the dishes, wash and iron clothes, cook dinner, etc. I was too young then to know that I needed to wear gloves and that I should avoid washing my hands after cooking or ironing. The result, these ugly hands. But I am not ashamed of them. My ugly hands are reminder of my humble life as a kid and whenever I look back, I would always feel grateful because I have so much blessings now! Okay, enough of my sad childhood! Here are some photos with my doting attendees. The workshop ended at around 5PM. 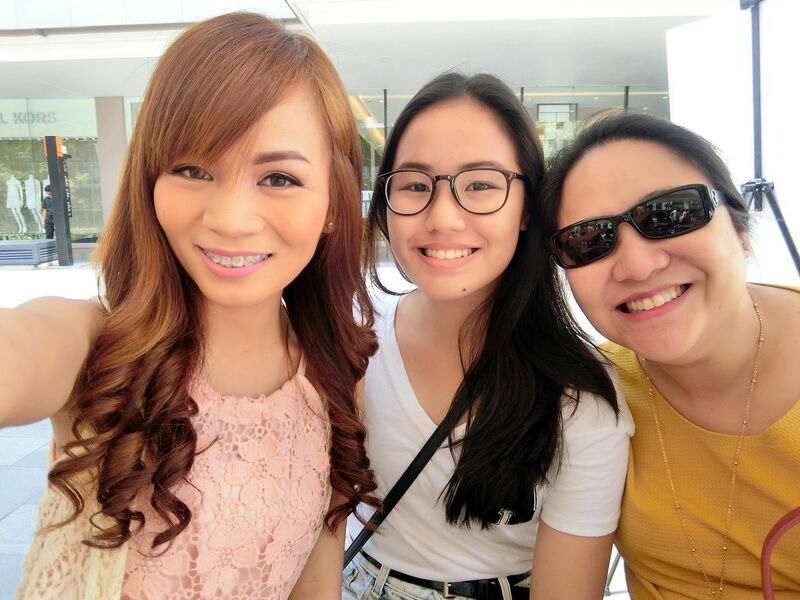 The end of my workshop marked the beginning of Michelle Dy's makeup workshop. 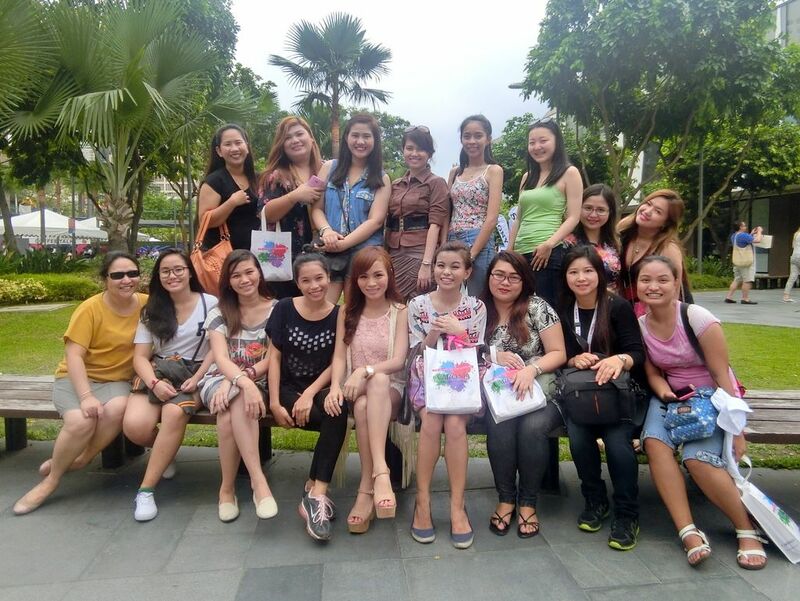 I urged some of them to attend Michelle's workshop as she is also a good friend of mine. But before they head to her, I asked them for a group picture first! Yay!! Monique is not in the photo because she had to leave early with her husband. But she is also one of the followers that I treasure the most because she is loving and dedicated. It's amazing how my readers and viewers would always tell me that I inspire them. But you guys just don't know that you inspire me more! I told you already that I wasn't considered pretty nor popular in elementary and high-school. But YouTube is a place where I met new friends and a found my deep passion. It's a place where I could share my talent and use my life stories to be able to give someone hope. Meeting you guys gives me more reasons to continue this journey on the internet. I am and will always be grateful to each and everyone of you. I would have stopped years ago if not for people that kept watching my uploads and kept reading my posts. You are the reason I am here on the internet sharing my life for the world to see. YOU INSPIRE ME. 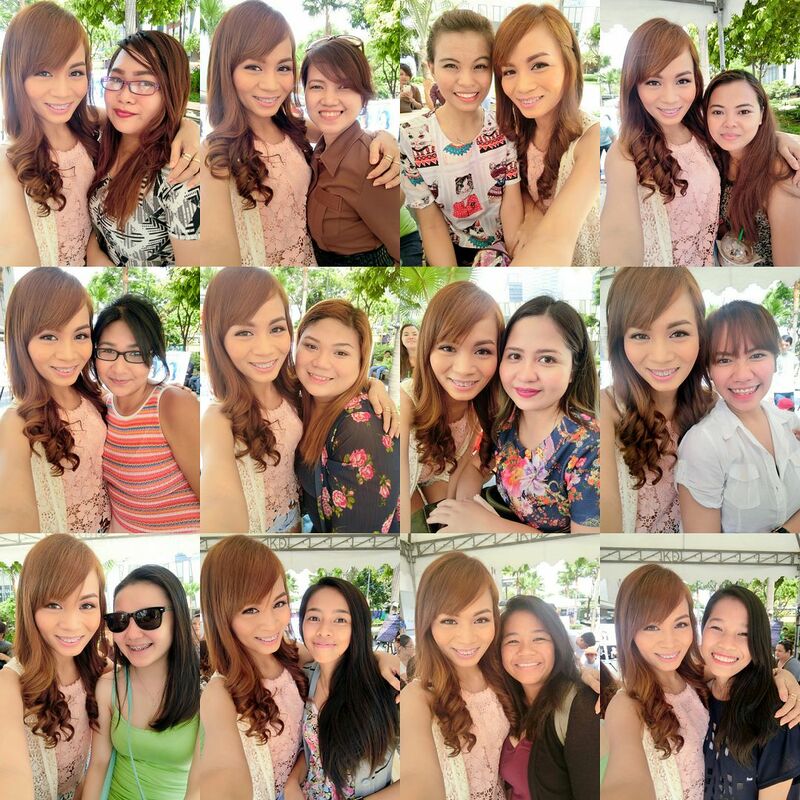 The last picture is a collage of my "selfies" with some of the attendees. Or course, we used the Casio Exilim TR60! 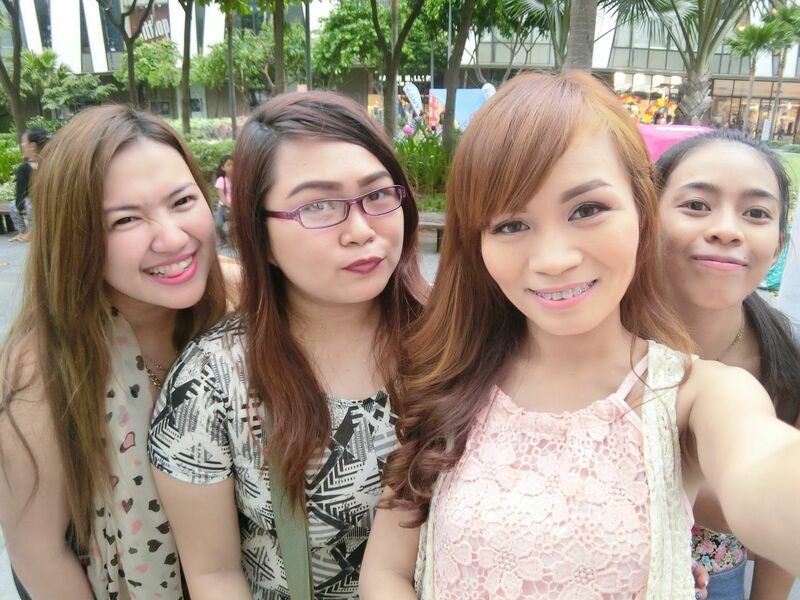 Notice how we all managed to look fresh and flawless in the pictures despite the hot, Summer day! Thanks, girls, for attending my first-ever event! It took me 3 months to post this because that's how overwhelmed I was with your love and support! Hehe Kidding aside, thank you and I love you! 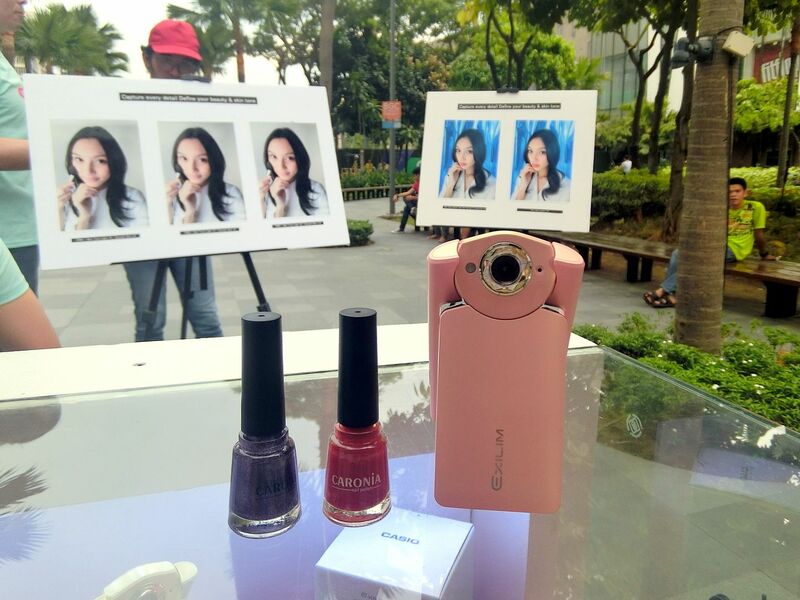 Thanks to Casio and to Caronia for sponsoring this Selfie and Nail Art Workshop! I am positive this won't be my last project with you. As I love both of the brands, I am sure I'll be working with you again! Thank you for organizing and setting up Kristine's first-ever workshop! And, that is what happened at my event. MY EVENT! Hehehe I cringe at words like MY (My channel, My fans, etc.) I almost never use those phrases. But for the word EVENT, I'm giving an exemption! Thank you for reading today! Have a nice weekend and stay safe, everyone! Always pray before bedtime and smile when you wake up in the morning!